New Delhi, Oct 27 (IANS) The Supreme Court on Friday put a stay on its earlier order directing demolition of an under-construction multi-level parking lot near the Taj Mahal in Agra. A division bench of Justice Madan B. Lokur and Justice Deepak Gupta directed the authorities to maintain status quo at the site and asked the Uttar Pradesh government to file a comprehensive policy on conservation and pollution in the Taj Trapezium Zone and nearby areas. 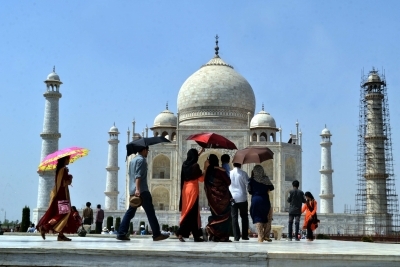 Additional Solicitor General Tushar Mehta, representing the Uttar Pradesh government, told the court that the government was committed to protect the Taj Mahal and assured it that a comprehensive policy will be filed. The court posted the matter for further hearing on November 15. The multi-level parking is coming up one km from the eastern gate of the 17th century monument. The project site, closer to the Taj Mahal’s western gate, is proposed to house 400 four-wheelers. It aims to ease congestion in the area which led to parking of vehicles on roadsides in the absence of sufficient parking space. The Uttar Pradesh government on Wednesday moved the apex court to seek recall of its October 24 order for demolition of the multi-level car parking. The court had ordered the demolition while dismissing the Uttar Pradesh government’s application for axing of 11 trees to facilitate the project’s completion.